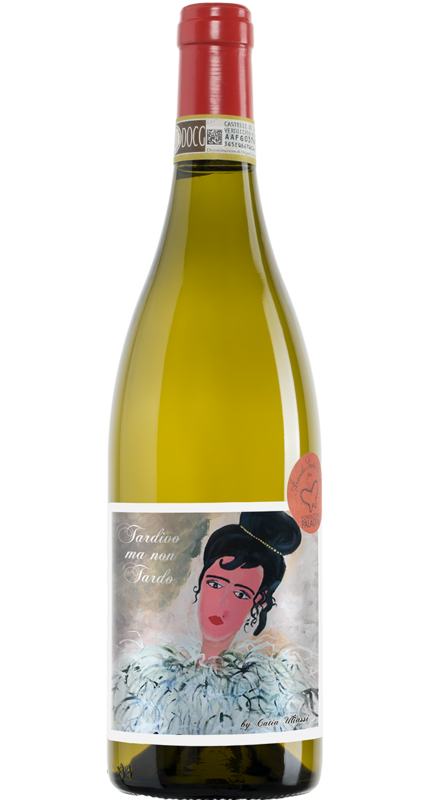 This wine is connected to its homeland and the art of Marche Region, so do not be surprisingly if the label has been created exclusively for Santa Barbara Company by the painter and restaurateur Catia Uliassi. All her works reveals a strong autonomy expressive … just like our wine! The relationship with Catia Uliassi is also strengthened by the support to Dr. Dante Paladini Foundation, a non – profit organization, which takes care of neuromuscular patients and works on clinical research of these diseases. Santa Barbara Company donates part of the proceeds from Tardivo ma non Tardo to support this organization. Vinification takes place in stainless steel tanks. The wine is then aged in grape marc for two years, followed by another six months in bottles.